adidas has cemented their reputation as one of the top players in the soccer world. 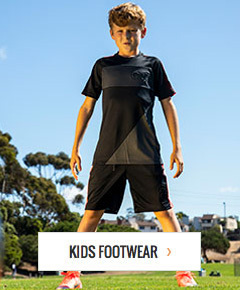 Their commitment to excellence shows in their game-changing lineup of turf soccer shoes. For the dedicated player who wants to increase speed, agility, and overall performance on the turf, adidas arsenal of turf shoes are a must. You’ll get a whole new level of confidence once you step into one of these stylish kicks. No matter what you age or skill level, soccerloco has you covered. If you have any questions, our friendly sales specialists are online to help you. We offer flat rate shipping and no hassle returns on all orders. Shop adidas turf shoes from soccerloco today and take you game to new heights!